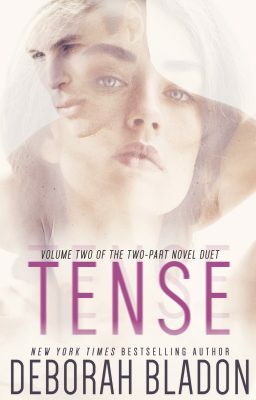 TENSE – Volume Two Release Date! I am pushing the release date of TENSE – Volume Two to Wednesday, May 3rd instead of tomorrow. I know this may be disappointing but I just cannot release a book that I am not proud of. I want the conclusion of Sophia and Nicholas’ story to be perfect and in order to do so, I just need a bit more time. Thank you for your understanding and sticking it out with me. I made a New Years Resolution to myself that I would get better at release dates – let’s just say it’s a work in progress. TENSE – Volume Two releases this Friday, April 28th. This is the conclusion to the two-part novel duet. It will be available separately and as part of a TENSE bundle, along with Volume One. And there is a preview of TROUBLEMAKER at the end. I think you’re really going to love Crew Benton. Today’s May 3rd – could we anticipate getting Tense book 2? I have put it through the publishing process, so I’m just waiting to see when the retailers complete their review process. I AM SOOOOOO DISAPPOINTED, yet again!!!!!!! To date, this is my fourth (4th) experience where the release date has been pushed back, not to say it has not happened more times, but I can only speak for my experience. I can’t figure out if it’s a marketing strategy or what. Once, even twice, is acceptable, but this is a common theme, you give a date & for reasons that you implore your readers to understand, the release date changes. I intentionally purchased Tense, Part 1, this week, so that I could immediately read into Part 2. I love your books, but Deborah, I’m out. The number of books available to read when promised are innumerable. I am a committed reader but enough is enough. I keep giving you the opportunity to change this practice, to no avail. So, since I want a different outcome, I have to do things differently. I am in Chapter 12 of Part 1, & I am going to stop reading at this point so that I don’t get ticked off with a cliffhanger & then have to wait on Part 2. My commitment to reading your books has been greater than your commitment to deliver on dates provided. I have purchased every one of your books, & I know losing my purchases will not impact your bottom line, but I’m done with the consistent disappointment. As an indie publisher, I’m not provided the same luxuries when it comes to release dates. Once I put it through the publishing process, I am helpless and have to wait just like everyone else. I am sorry for the delay. I too, was really hopeful it would be out last week, but as much as writing is a top priority for me, sometimes life gets in the way.